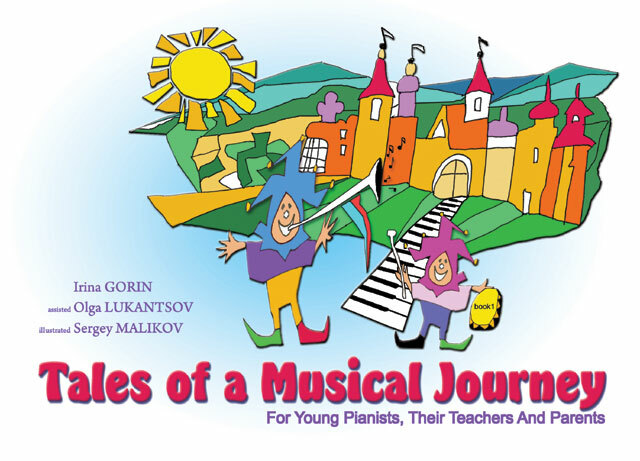 The plentiful gifts of Irina Gorin and her brood of piano students captivated so many after You Tube postings of musical offerings revealed soulful, expressive playing by youngsters as young as 4 to the ripe old age of 14+. A treasured group of pupils gracefully approached a Steinway grand with a finesse and creative uniqueness that radiated through each performance. This note was incentive enough for me to investigate, and I wasn’t disappointed. Having a passion to find each child’s well of artistic expression, she soul searches with them as they grow side-by-side as musicians and human beings. Known to many as “Irena,” we learn that she has a warm and endearing presence that has influenced the lives of so many inside and beyond musical universe. The question is, from where did her passion for teaching spring? To provide answers, she sat down with an interviewer and shared how it all started and where it began? At the age of 14 or so, a singular teaching opportunity sparked Irena’s creative fire and illuminated her career path. As she tells it, her teacher at a music school where she had been enrolled for about ten years, gave her a chance to help a young piano student within a classroom setting. The experience was so engaging, that it had far-reaching implications. Irena excitedly raced to tell her teacher, “I want to do it all my life.” Not long after having this epiphany, Irena, just 15 at the time, was gifted her very own piano student by her mentor, and the rest is history. In 1980 Irena had left the Soviet Union in response to its oppressive regime. Having graduated the esteemed Leningrad Conservatory, she had made an indelible impression on a Pedagogy Professor, Faina Bryanskaya, who taught at a musical college affiliated with the St. Petersburg Conservatory. Irena’s presentation there was memorable. A determination to dig deeply to find the soul of human beings, reach in, and bring expressive, creative beauty to the surface, became the theme of Irena’s life work. As things played out, Irena relocated to the US, and began teaching in the Levine School of Music in 1988. 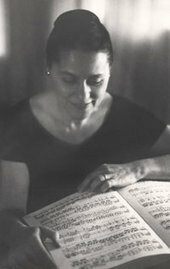 Others, including members of the piano teaching community, likewise praise Irena. Her professional colleagues suggest that Irina does not teach by any rules. She teaches and learns as well on her own–always open, willing and ready to receive something new. Santiago Rodriguez, concert pianist, and former artist-in-residence at the University of Maryland, insists that Irena has “a combination of personality and passion that we can all learn from.” He goes on to characterizes Irena as a teaching “icon” in the D.C. area as evidenced by the consistently accomplished and expressive pianists that have come through her studio. Rodriguez, like Julian Martin have been pleased to accept many of her pupils as they continue their musical pursuits at the college or conservatory level. Elisa Virsaladze, a Professor at the Moscow Conservatory and Hochschule fur Musik und Theater muses that “Irena is like a child who is amazed by life and maintains a constant joy of living.” (paraphrase) This description would indicate a wide-eyed appreciation of a sunrise as the first, or a miracle of nature preserved fresh in the imagination. Brian Ganz, views Irena’s students as being in a communal “rainforest” thriving amidst the lushness of the environment. Others echo how Irena “understands people so well, knowing how to motivate students to nurture and develop their creativity. A teenager emphasizes how Irena “explains the pieces in stories so I will be able to project the composer’s ideas as I am playing the music.” It’s like the composer is standing there telling me just how to play his work. Irena encourages her students to take on formidable challenges and stretch their abilities. A youngster who wanted to study a difficult piece, perhaps a bit beyond his technical skill, was not discouraged by Irena from pursuing it. She told the child to learn the composition “one measure a day.” With such words of wisdom under his belt, he had gone on to master a Bach selection in just 56 days. Many of Irena’s pupils learn by her example: They say that she lives in the moment–in the here and now, and encourages them to embrace the same. “Live for today with no regrets about yesterday, or for what is to come in the future,” she wisely tells them. Married to Henry Orlov, musicologist, Irena and her chosen partner, appear to have a unique chemistry between them. Walking arm-in-arm, playing chess on the terrace of their apartment, sitting on a bench charming their prancing white dog, the two are observed in a harmonious relationship that emanates far beyond its own boundaries. The film is a bundle of tender moments such as these and includes snatches of inspiring performances given by Irena’s piano students, some of whom have gone on to pursue professional careers. Watching this documentary evoked her memory, and for many others it will touch the heart in a special place. Graduate degree from Leningrad Conservatory; began teaching piano during student years; educator and lecturer at seminars throughout Russia. After emigrating to Israel in 1980, taught music and worked as music therapist in a psychiatric hospital. 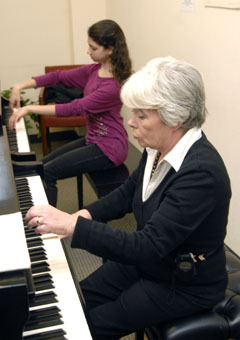 Has been teaching piano in Washington, DC since 1986 and at Levine since 1988. Irena Orlov is a Levine Master Teacher. Thank you for posting this. I watched the whole thing (81 minutes!). It’s well worth the time. Hi Harriet, Thanks for sharing. Would you believe that I watched it through twice. Had you considered studying over at Levine in D.C.? This was the first I learned about it..
Reblogged this on Arioso7's Blog.